Agora is an epic production, handsomely mounted by director Alejandro Amenábar, but the film is at its most stimulating and compelling on an intellectual level, even if its ideas are often in danger of being submerged beneath the grand scale and the demands of the narrative. Set in Egypt in the fourth century, the film is a fascinating portrait of spiritual and philosophical conflict within the Roman Empire, using the real-life character of Hypatia as its basis. 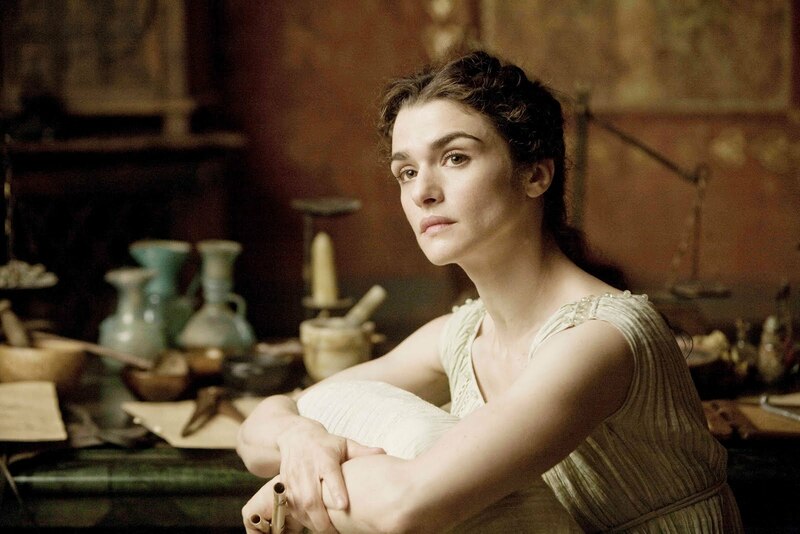 Hypatia (here played by Rachel Weisz) was a pioneering mathematician who lived in Alexandria and is considered one of the most influential female figures in the history of her field. At the start of Agora, Hypatia teaches a classroom full of aspiring philosophers by day and gazes at the stars by night. Her young male students hang on her every word, with one – Oscar Isaac's Orestes – obviously infatuated with his teacher, as is her doting servant Davus (Max Minghella). These early scenes establish Hypatia as a warm and open character, driven by the pursuit of knowledge and willing to share it with anyone, regardless of their rank or stature. In one scene, she visits Davus' chamber late at night to tend to his wounds after he has been whipped by her father, and she is thrilled to discover a working model of the known solar system that he has constructed, a model she proudly exhibits in her class the next day. The restrictions of society's codes are meaningless to her, and with Weisz giving such a strong and charismatic portrayal, it's clear to see why she inspired such faithfulness and devotion in her students. Davus, however, soon falls under the spell of a different leader, when he is struck by the fervent performance of a Christian preacher (Ashraf Barhom) who he sees stirring the masses outside the city walls. Gradually, tentatively, Davus is moved to embrace this new religion, and when the Christians rise up against their Roman rulers, he is forced to choose a side for the ensuing battle. Davus therefore becomes a vessel through which Amenábar can dramatise the film's central clash between knowledge and faith, between education and religion. When the Christians take the walled city of Alexandria, their first move is to destroy the library, as Hypatia and a few others desperately try to save as much of the accumulated knowledge contained within those scrolls as they can before fleeing for their lives. These themes are not the kind commonly tackled in cinema on this scale, and Amenábar deserves a lot of credit for the way he manages to articulate his ideas in a fashion that is cerebral but not hectoring or stodgy. The film's allegorical stance is also clear but not heavy-handed, and there's a real adroitness about the way the director handles the film's opening hour, not to mention the way he lets us luxuriate in the splendour of our surroundings. Agora is an extraordinarily beautiful film, with the dazzling, CGI-assisted recreations of the Roman Empire proving the drama with a consistently stunning backdrop. 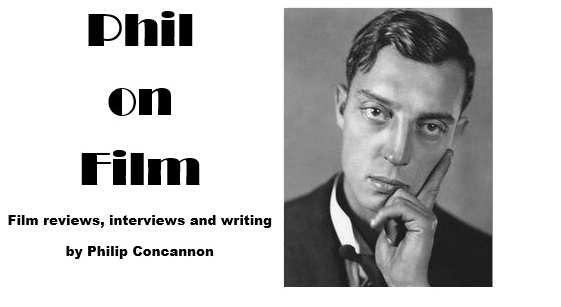 The film's second half fails to maintain that early clarity and sense of ambition, though, and that's a pity. After a split in the narrative, the film moves on four years into a more political and – alas – more melodramatic place, with the drama growing murkier and less intriguing with every step. The characters or Orestes and Davus are not strong enough to shoulder the greater dramatic weight that Amenábar places upon them in these latter stages, and the final scenes feel disappointingly rote. Agora is a film that feels terminally at war with itself; Amenábar clearly has bigger things on his mind than an old-fashioned romantic melodrama, but such a compromise is required to give his $70 million movie some kind of familiar shape. It remains a fascinating film, and one that feels refreshingly out of step with almost anything else currently showing in cinemas, but what a shame Amenábar is so much more adept at exploring the mysteries of the universe and the nature of faith than he is at handling his own characters' emotions.